A new step for the great label SHAMELESS TOADY by releasing yesterday the full lengtht album of one of the finest Uk underground producer called ADJ (Pyramid Transmission & ex-IQ record store). 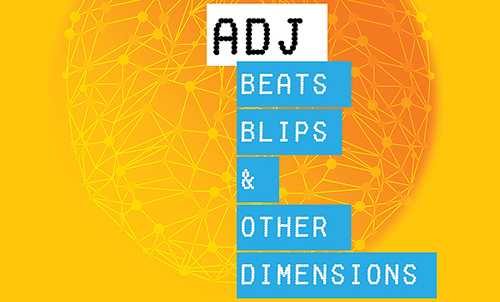 The title of this album tells for itself, it’s clearly about « Beat, Blips & Other Dimensions” » so don’t except a classic format but rather a music laboratory repport. No reference or related visuals stand out when you’re listening to the ADJ sounds, his pure electronic vibes have instead some intangible & abstract intentions. The melodies are futuristic therefore unreassuring, a bit cold and pretty close to the experimenation. Thus this album contains 12 solid tracks very well produced with various sounds : electro, breaks, glitch, Idm and also dubstep. We have never be disappointed by the ADJ’s perspective, all his releases are like an underground “masterpiece” pushing the limits of electronic music. As it concerns the amazing “Beat, Blips & other Dimensions” album, it must be listen and listen again to get all its facets. Hotly Recommended!